This time of year (and all year long, really) suncatchers make a fun craft for kids to make. They brighten up a room by bringing light and color in. 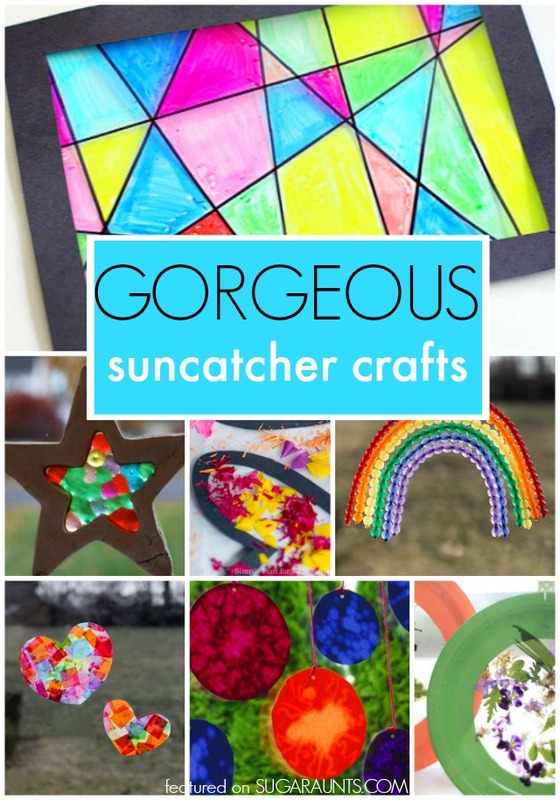 This week's Share It Saturday feature is based on a gorgeous craft linked up and we had to look around the webs for more gorgeous suncatcher crafts! These suncatchers are not only pretty, they use some different materials to catch the sun's rays and fill your room with color.